﻿Mistral Group has hit 2019 running by welcoming four new team members who each bring a wealth of experience, knowledge and enthusiasm to the company. Mistral is a business built in the bus and coach industry and its core strength is a strong underlying knowledge of the challenges facing the operators within it. The Group’s mission is to deliver flexible finance products that help operators run the vehicles they need for their business, whether this is via rental, leasing or hire purchase. To help achieve their mission, Mistral Group are pleased to introduce Karl Kirkpatrick, Helen Turley, Joeline Smith and Jeremy Brown each starting in early January. Experienced asset finance professional, Karl Kirkpatrick takes the position of Director Asset Finance. 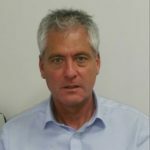 Karl brings over 30 years of experience in asset finance to the role, having worked at a senior level in a number of well-known funding institutions, including Shawbrook Bank and Lombard. 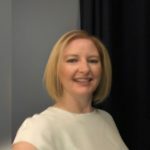 Helen Turley joins Mistral Group as Commercial Manager from Handelsbanken where she was Operations Manager for their asset finance team in Manchester. Prior to this Helen spent 12 years with GE Capital working in a variety of sales and operations positions within asset finance. 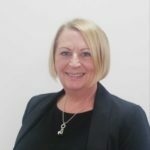 Joeline Smith returns to the PSV industry as Head of Finance having previously worked for Stagecoach in Manchester. Joeline is an experienced Finance Manager who joins Mistral Group from her previous role in the digital media sector. 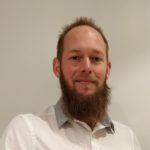 Jeremy Brown has recently gained his full ACCA (Association of Chartered Certified Accountants) qualification and joins Mistral from BUPA as Management Accountant.